While getting a good GRE score is one of the main criteria for graduate school admissions, for international students, getting a high TOEFL iBT score is equally as important. This demonstrates to the university’s you’re applying to that you’re proficient in English and can handle the rigorous work that grad schools will put you through. That’s why you’re here. I’ve gone through each of the top TOEFL online review courses to help you find the perfect companion to your studying and ensure you score as high as possible on the exam. My goal is to help you maximize your scoring-potential by using these top online TOEFL preparation resources. By doing so, you’ll be able to excel on the TOEFL iBT exam and make a statement to your target schools that you’re a top performer. Let’s get started! What is the Best Online TOEFL iBT Course? The Best MyTest TOEFL review course is extremely affordable for even the most modest budget! Users who study using this prep course will get flexible pricing options that are built to fit all timelines. Using the BestMyTest prep course also gives you access to the largest variety of learning tools and course materials. Studying with the week-to-week pricing structure isn’t worth it! Get the Best My Test review course with the 1 month or 6-month package for the most cost-efficient study approach. Depending on language proficiency, most test-takers will need to study for much longer than a single week. 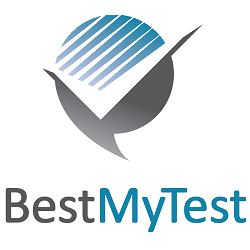 BestMyTest is really designed for those that need help with all four sections and vocabulary. If you are on a tight budget, looking for TOEFL review course with all the perks, but not wanting to break your bank, BestMyTest is the best option for you! The Magoosh TOEFL review course is really easy to navigate! The course’s clean and simple design makes the Magoosh TOEFL course super user-friendly. Contacting student support is a friendly and efficient process! The Magoosh TOEFL prep course student support team is knowledgeable and cordial as they answer your questions. The Magoosh TOEFL is the best study-approach for your money! 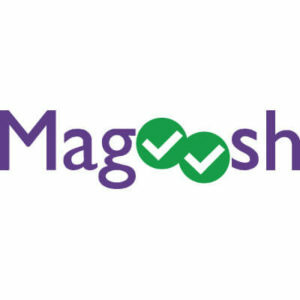 Go into the test confidently knowing Magoosh offers a +4 point score guarantee! Magoosh TOEFL also offers incredibly competitive pricing starting at $39 for one week of access and $89 for up to 6 months! I recommend getting the 6-month package. The Magoosh TOEFL prep course really does a great job at improving your score one step at a time. If you are a student looking for a course with lots of study-features that can help you with the most difficult concepts, Magoosh TOEFL is the course for you! The 1-week option is also great for those that want a quick study option before taking the TOEFL Exam. When it comes to TOEFL test preparation, you’ll want to have the flexibility that comes with the English Success Academy course! You can purchase sections for the entire TOEFL exam or buy specific TOEFL sections. Users get unlimited access! This is really important when you buy TOEFL study material. The prep course comes with online tutoring (for an additional cost). 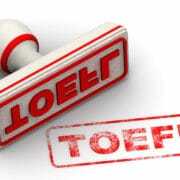 TOEFL online practice might not be enough. If you need a hands-on approach with a live tutor, English Success Academy can support your learning! Go with your instinct with this TOEFL exam preparation, because unfortunately English Success Academy’s course does not come with a guarantee or refund. There is no free trial, so users have to stick with their decision! Unless you pay extra for online tutoring, you won’t have access to instructor feedback. This can a roadblock for test-takers who need real-time feedback. The ESA is best for you if you need help with only one or two sections of the TOEFL. Because of English Success Academy’s flexibility, you can choose from four different mini-courses that focus on unique skills and sections of the test. Sections range from $47-117 each, so if you need help on all 4 sections, there are more budget-friendly options out there. The TestDen TOEFL prep course has the most practice questions of all TOEFL sample tests! Walking into the TOEFL exam will feel more familiar after some rigorous study in the Test Den. You’ll have access to over 2,480 practice questions! The TestDen review course comes with a 30-day non-satisfaction refund policy! The Test Den TOEFL course has no student support options so if you’re not so great with IT this might not be the review course for you. Users also will have limited assistance with vocabulary. So, brushing up on English diction with the Test Den TOEFL course might be challenging. Test Den’s TOEFL exam practice course has some outdated software issues. If you have 3-6 months of time to prepare and want access to a large number of practice questions, Test Den is a good option. Even though the $129 price tag is slightly higher than other courses available, you will have access to 2,480 practice question, the most of any TOEFL exam prep course. The edX TOEFL course is 100% free! If you’re attempting to take the TOEFL test with a super small budget, edX is definitely a good way to go! If you need step-by-step instruction, you’ll get that with the edX prep course. This is especially important for pre-production English speakers who need intensive TOEFL preparation. You can engage with the community through the edX discussion boards. You’ll find the rich information provided by real TOEFL test-takers who are using the same prep course as you are! Unfortunately, the edX TOEFL review course is limited in both features and materials. You might need to get creative with your study approach using this exam review. You will need to dedicate yourself to the full 13-week program. 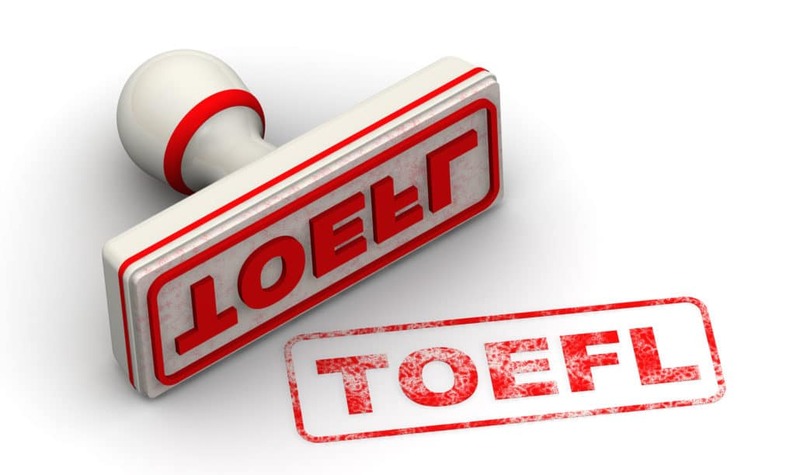 There is no flexibility so if you’re under a time-crunch you might want to opt for other TOEFL online courses. This is a great course for those that are just beginning the TOEFL exam process. Since EdX is free, you can have access to study material for each section of the exam. The instructors will help you with old test questions and explanations that you will be able to understand. You will also get lots of advice like how to register for the exam and how to prepare for test day. However, if the 13-week course timeline isn’t a perfect fit, you’re better off with more flexible options like BestMyTest and Magoosh. This is one way to study smarter and not harder. Using a TOEFL online test with adaptive course features gives you unique guidance and ensures your studying the material you need to study. The material you have already mastered won’t be as prevalent as you make your way through the course. For users who like to study on the go during their daily commute or even on the couch will love using the Kaplan TOEFL review course. You can access material on mobile devices from a smartphone to a tablet! Going with the Kaplan TOEFL prep course, you’re going to pay a considerable amount compared with other TOEFL online courses. This can be a drawback when you’re studying on a budget. 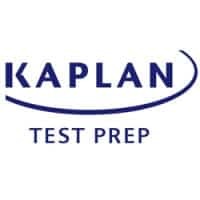 If you’re willing to pay for Kaplan’s expensive TOEFL prep course, you will have plenty of videos, practice questions, and explanation to help you get a higher score. Kaplan ’s score guarantee states you will receive a refund if you don’t improve your score. However, other courses have similar features for a lower price and their guarantees have less fine print. You should choose Kaplan if money isn’t a factor for you and you want the highest quality course on the market. BestMyTest and Magoosh clearly offer the best combination of features and value when compared to other TOEFL iBT courses. Check out both and see which one best fits your needs.